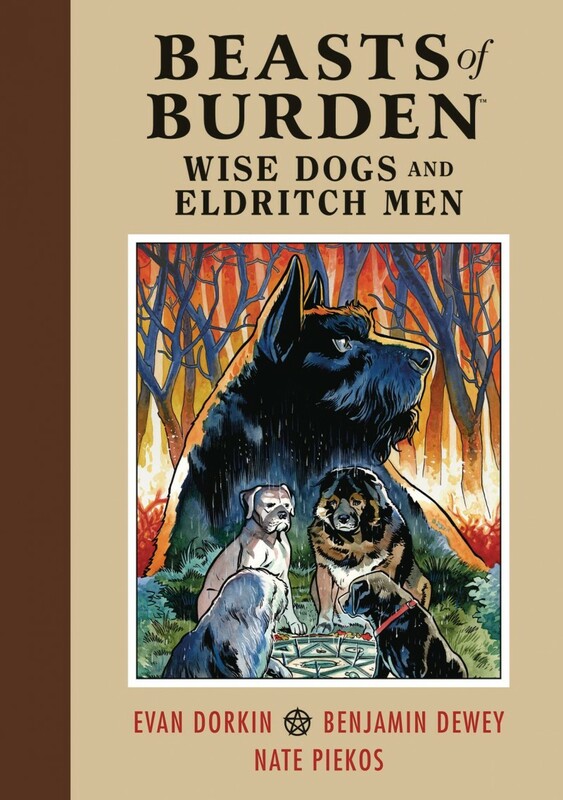 Collects BEASTS OF BURDEN ELDRITCH MEN #1-4. This eight-time Eisner Award-winning comic book series blending fantasy and humor features the adventures of paranormal pets investigating the horrors of Burden Hill. A heroic pack of canines known as the Wise Dogs sets off on a mission to clean up a Pennsylvania corridor plagued by seemingly unrelated occult disturbances that include a fire salamander and a horde of mutant lurkers. A link is found among the various disturbances, leading our heroes to a mountain village inhabited by a survivalist witch-cult who have discovered the existence of a ‘Blood Lure’ attracting occult forces, creatures, and many more terrors to Burden Hill!